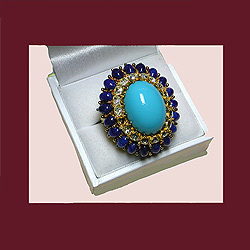 One of the few luxuries that I afford myself in life is an occasional piece of vintage jewelry from my retail collection. 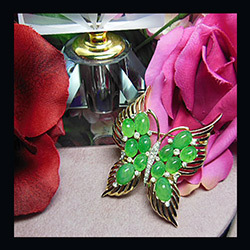 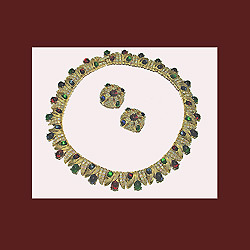 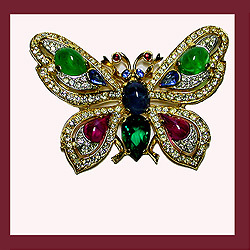 The pieces that I have chosen were appealing to me for their uniqueness, sparkle or designer. 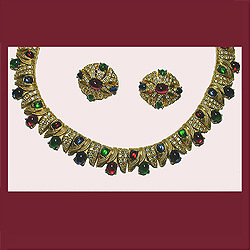 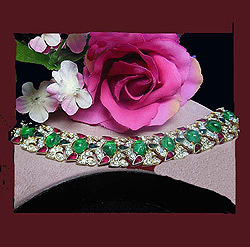 Since I have an ongoing passion for vintage costume jewelry, I will probably add a new piece from time to time. 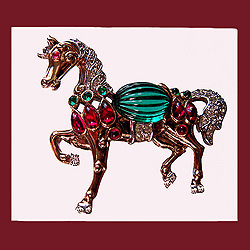 I occasionaly make a personal piece available for sale and maybe you see one in my collection that you would really like to have. 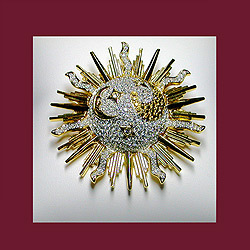 If so, contact me; who knows? 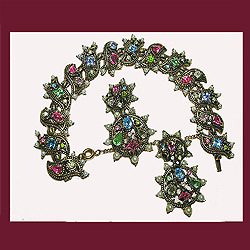 Beautiful signed HOLLYCRAFT pastel bracelet and earrings. 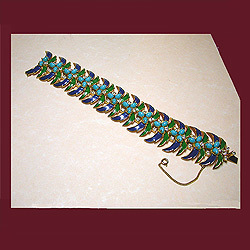 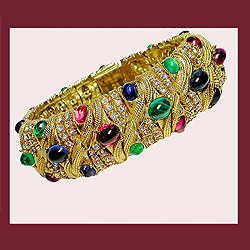 Stunning signed CINER multi color bracelet. 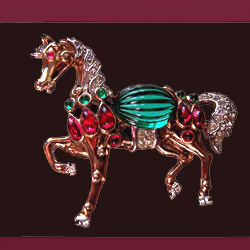 Highly collectible signed TRIFARI Moghul horse brooch.